Hammond’s headquarters, including its sawmill and the first of 13 retail locations, occupies a 63-acre piece of property along Route 27 in Belgrade. 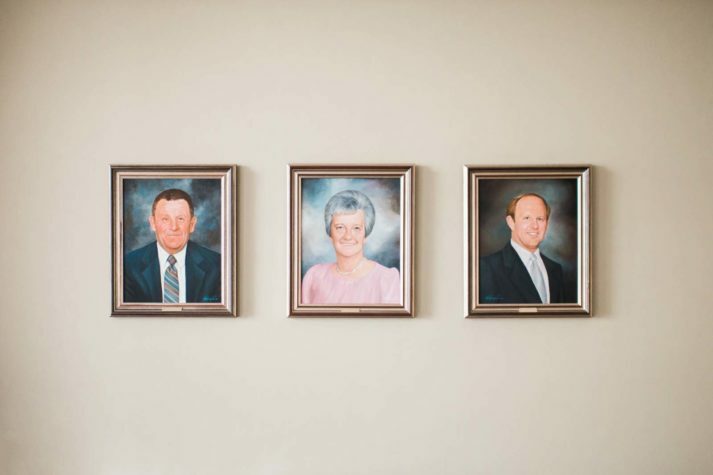 Three generations of Hammonds, from left: company founder Skip Hammond, his wife, Verna, and their son Don, the former president and CEO who now serves as vice president. A hardware aisle in the Belgrade retail store, which opened in 1967 and was renovated and expanded in 2006. In 1953 Clifton “Skip” Hammond was a bootstrapping entrepreneur who spent fair-weather days cutting down pine trees and foul-weather days milling the logs into lumber at a diesel-powered sawmill on Route 27 in Belgrade. 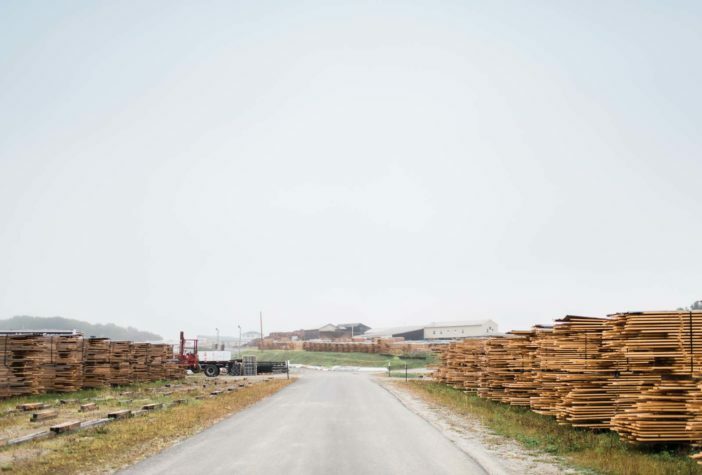 He initially owned the sawmill with a partner, but with 50 dollars he borrowed from his wife, Verna, Hammond bought his partner out and hired two employees. Hammond Lumber Company was launched. Following the addition of retail, the next company development was drafting, prompted by one of Don’s first salespeople, who would use pencil and paper to draw up customers’ designs. “Hammond Lumber was one of the first lumberyards that would provide home drafting,” Perkins says. “The feeling was that, if we can get in on the ground floor helping the customer design their dream home, then we can remain in the process throughout.” The company now has a large team of designers, a separate division of kitchen designers, and two employees who handle engineering. Having them on staff is one example of Hammond Lumber Company’s commitment to customer service. Another is offering a wide range of products. “Whether it’s cabinetry, roofing materials, decking, or siding brands, we like to have what the customers want,” he says. Where some companies might specialize in just one, Hammond carries all three major window brands— Marvin, Pella, and Andersen—and 15 or 16 lines of kitchen cabinetry. “Today’s customers have high expectations,” Perkins says. “The days when we were all happy with a splitlevel ranch with oak kitchen cabinets, a steel front door with oval glass, and a bow window—those were simpler times. It was okay to match and have the same thing as your neighbor; it’s not okay anymore.” Certain products are location specific. 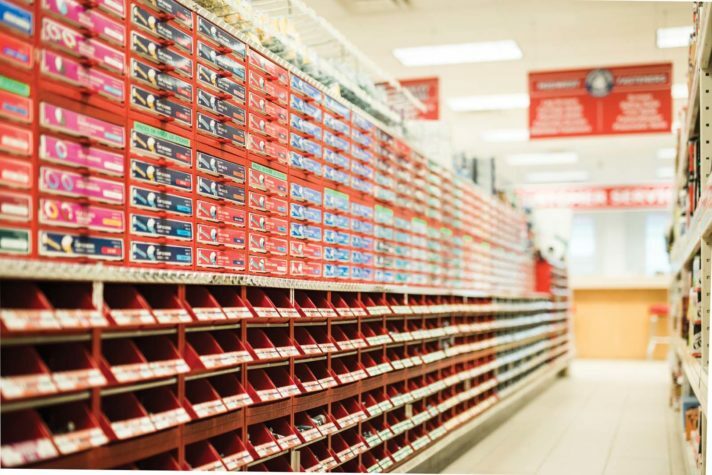 A few stores, for example, are what Perkins calls “hardware heavy,” while the Portland location doesn’t sell paint because there are so many paint stores in the area. From the beginning, Hammond Lumber Company has offered free delivery, a point of pride for the company. “It’s been a passion of the Hammonds to provide excellent customer service, and they believe it begins with delivery,” says Perkins. The fleet ranges from pickups to boom trucks and delivers to wholesale and retail customers within an hour or two from one of the company’s locations. “We have a dispatcher in each branch, and they work together. If we don’t have a product in one branch, we’ll be able to fill it quickly from another branch,” he says. 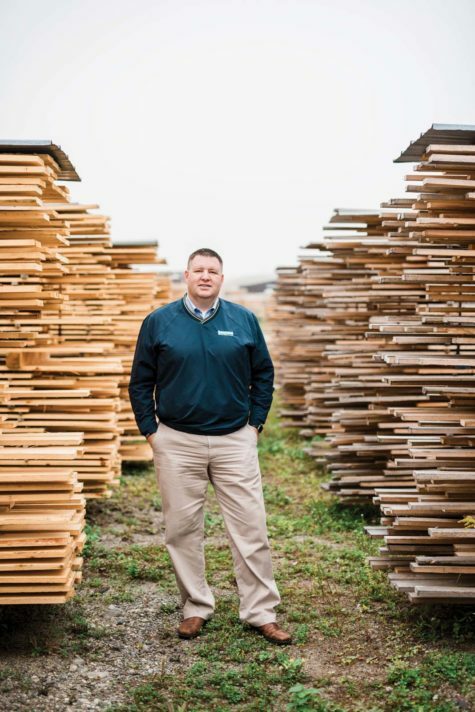 Hammond Lumber Company sales manager Fred Perkins surrounded by the company’s primary product—pine boards.